Last Friday, Mrs. De La Torre represented our THES family at the 2018 Mayor’s Health & Fitness Awards. 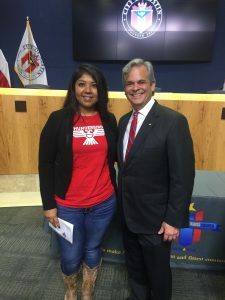 We were recognized as one of the 2017 – 2018 Mayor’s Health & Fitness Council Exemplary Schools in AISD. We received a banner that will be proudly hung once we find the perfect spot. 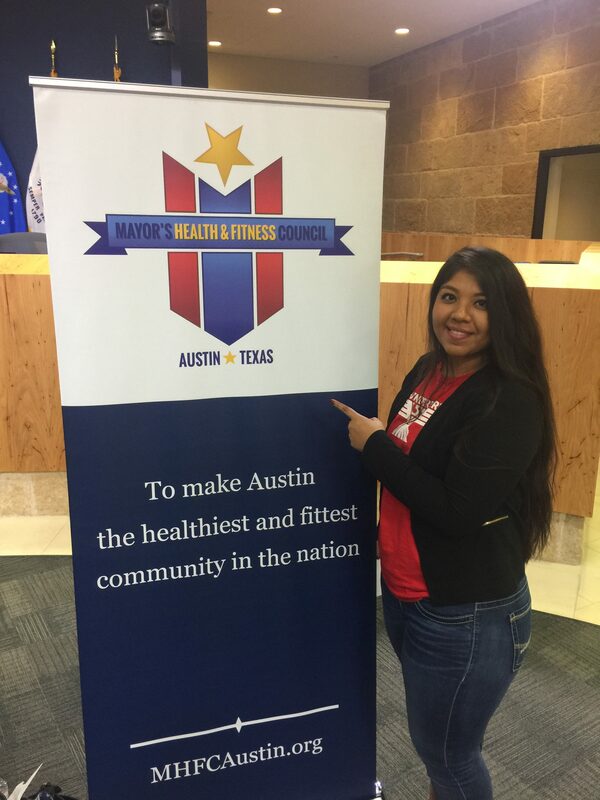 The Mayor’s Health & Fitness Council (MHFC) is a nonprofit organization, founded in 2004. Its vision is for Austin to be the fittest, healthiest community in America. Its mission is to support and inspire people to improve their health by encouraging physical activity, improved nutrition, tobacco-free living, and other healthy behaviors. The council is focused on providing community connections, building alliances and supporting the implementation of best practices and programs that truly affect positive change to healthy lifestyles. You can find information about this recognition here.